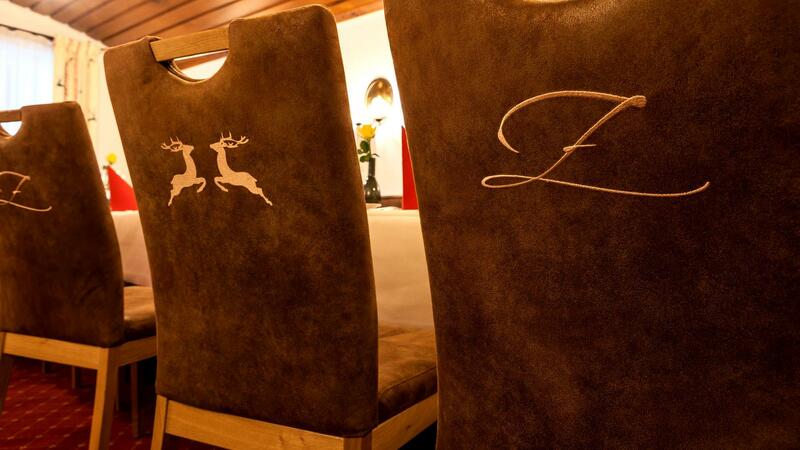 Soft leather, high-quality linen and proud decorative deer await you in the alpine ambience of our “Südtiroler Stube” parlour, the perfect venue for a sociable evening. 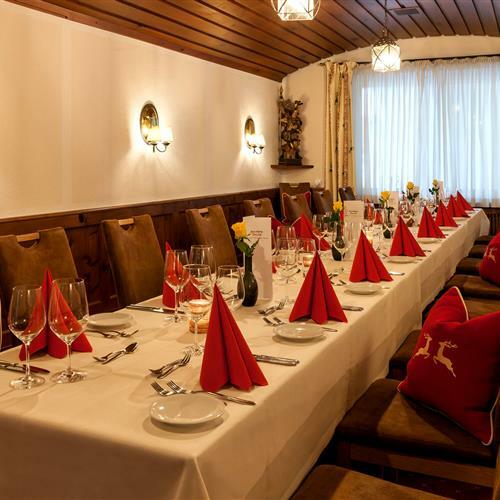 This is the ideal cosy setting for birthdays, christenings or small intimate weddings. 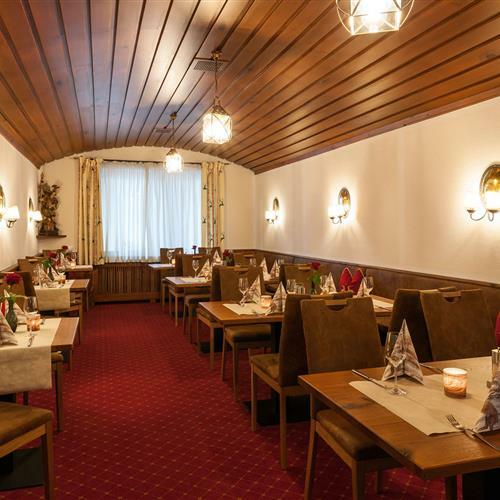 Let us spoil you with culinary delicacies as you enjoy high-spirited family celebrations in a completely private setting and experience perfect moments in the upmarket country house style of our charming “Südtiroler Stube” parlour at the Best Hotel Zeller near Augsburg. Shiny silverware, filigree porcelain and sparkling glasses. The festively-set table, which we will decorate according to your wishes and ideas, seats up to 25 people. Whether radiant white for a wedding, soft baby blue for a christening, or a sea of red roses for a golden wedding anniversary - in the romantic vault of our “Südtiroler Stube” colours and candlelight unfold to create a very special magical feeling. Finally have time with your loved ones, enjoy a fun celebration and laugh until you cry. 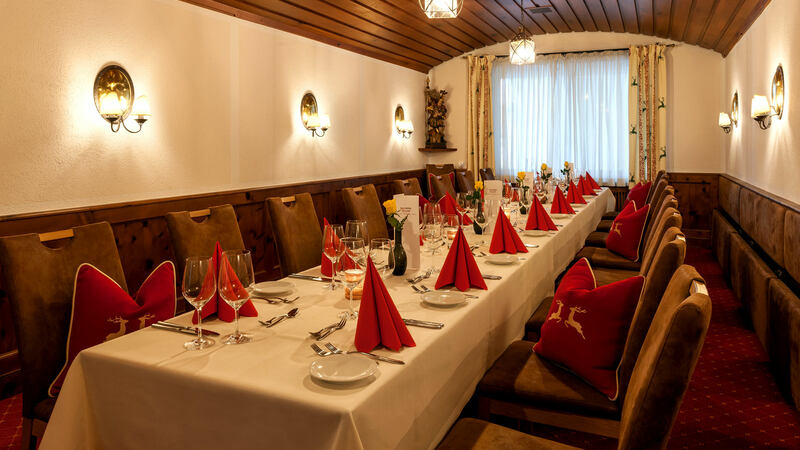 The “Südtiroler Stube” is the perfect location near Augsburg if you want to have a private event with friends or family whilst enjoying great food and perfect 4-star service. Our private rooms can also be rented for stag dos and hen parties. 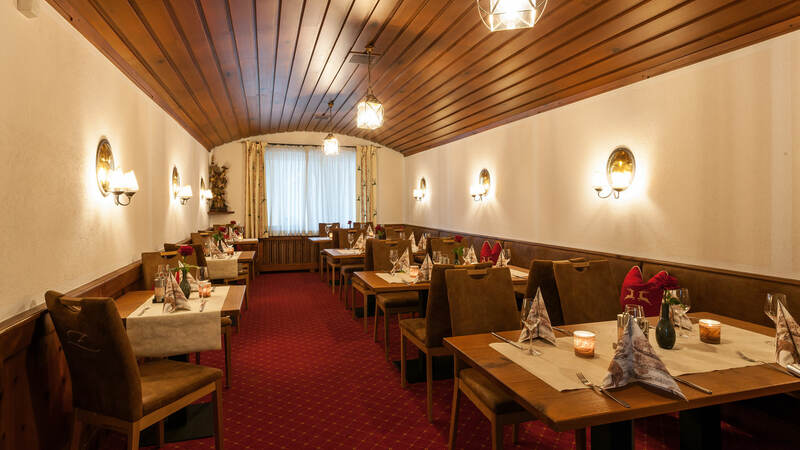 Treat yourself and your best friends to a stylish dinner before you head out into Augsburg’s bustling nightlife. Send us your enquiry today!